The Missive Maven: Best. Halloween Card. Ever. ..AND the envelope had a glow-in-the-dark spider secured in the corner! There was transparent tape over it which I removed for photographic, but I am amazed and delighted that the spider made its journey intact and unmangled. And how much do I love those Legend of Sleepy Hollow stamps? They are pretty amazing. 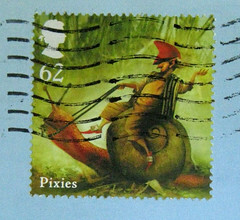 The sender of this fantastic card, one of the amazing gals behind The Letter Writers Alliance, even wrote a great blog entry about these stamps; if you're itching to know more about them, this is the place to start. The back of the envelope is graced with some pretty silver-tinged washi tape and a marvelous paper sticker of a running moon-man pumpkin-head man. You can see the legs of the spider on the front poking out from the corner there. The letterpress on this card is particularly well-done; it comes from Greenwich Letterpress in NYC, a shop that I've actually visited in person on one of my Big City ventures, and I can attest that all of their work I've seen is really fine. I am sore tempted to order a set of cards now. Anyway, I wish a Happy Halloween to those who celebrate this spooky holiday! Remember: anything can happen. Great card, great stamps--Happy Halloween! !! What a to-die for card! And stamps! And so orange and black! If anything really can happen, then I guess I'll keep my fingers crossed that I'll get enough done to go out and have fun tonight. :) Happy Halloween! I'm glad you posted this. 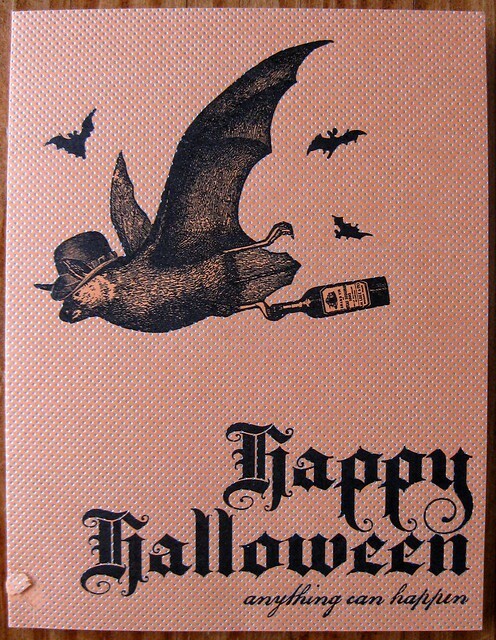 I think it's the most beautiful and interesting Halloween card I've ever seen. Awesome! Love the moon-man. Happy Halloween to you too! What a fun Oct. postcard! I love it! Thank you for the wonderful "thank you" card. 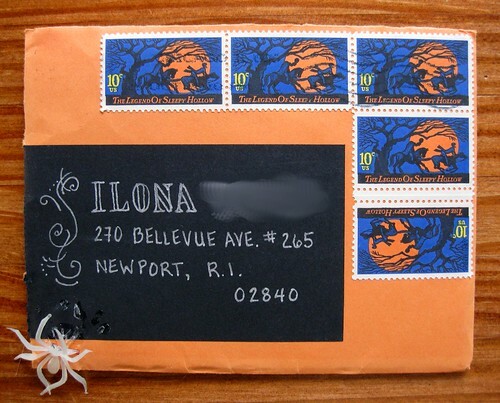 I love the Via Air Mail address label and the Edward Gory theme. You have beautiful writing and I love the pen ink that you used. I'm so looking forward to ordering that one. Happy Autumn to you too! Cheers! Ilona, is that a "moon-man" running or a "pumpkin-head"? I've never heard of a moon-man, nor has google images. Am I missing some north american reference? Jonathan - sometimes I just make things up. You're right, though, I looked closer, and he's more squash than lunar. 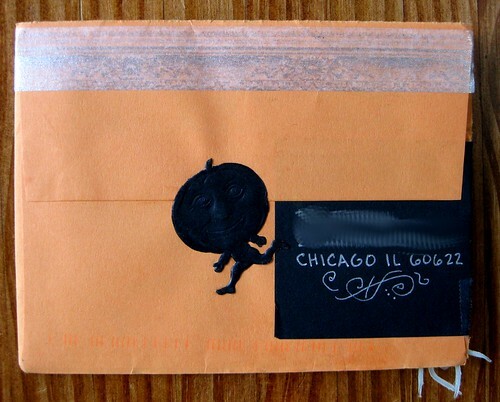 This blog is perhaps the best I have seen on the art of snail mail and envelope decoration. I am always inspired after visiting! Thank you!